I have bought new colours and brushes. 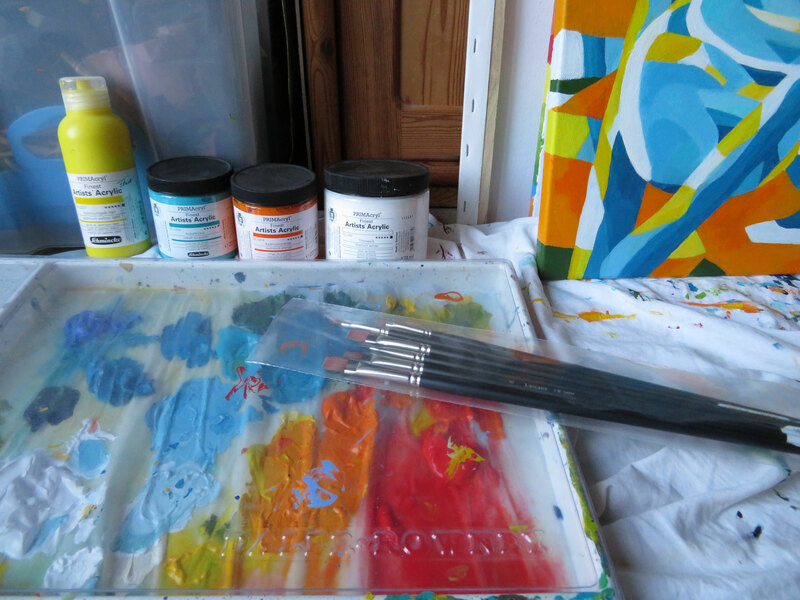 I prefer Scmincke Primacryl finest artists colours and Lascaux Acrylic brushes. Quite expensive but soon the first big ( million dollar ;-) ) sales will come rolling in.